Welcome to the world of Caron x Pantone! Where inspiration from the beautiful colors found in everyday life were spun into luxurious color perfect yarn. This yarn was created with you in mind, the knitters and crocheters who love working with color palettes and stitching together their own unique pattern. 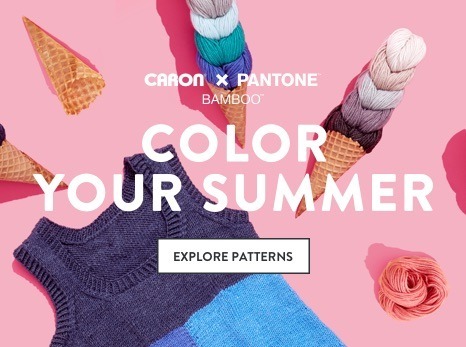 Caron x Pantone brings together a passion for color to yarn, with curated color palettes created by color experts at Caron in collaboration with Pantone. The results were a luxuriously soft merino wool blend yarn presented in a unique braid format. All knitters and crocheters get to be creative with Caron x Pantone yarn, this unique braid is composed of 5 separate links of yarn, so you can make a pattern unique to you by switching up the placement of your colors. 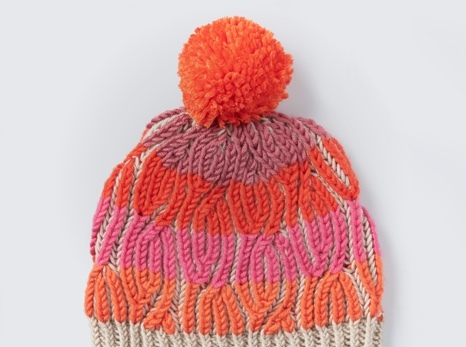 Caron x Pantone yarn comes in various colors, from main color braids to multi-colored ones. The main color braids bring together a mix of warm and cool neutral colors, from Coconut Cream to Dane Gray with a mix of fun cool toned colors like Purple Mist and Lapis for those who love bold colors. The multi-colored braids include a wide variety of color palettes from soft neutrals like Provincial Lilac and River Rock to saturated bright colors inspired by nature, like Spicy Blooms and Frozen Berry. For knitters and crocheters looking for something in between you’ll be happy to use Caron x Pantone braids which include a mix of soft toned-down hues with a pop of color like Purple Pops or Strawberry Chill. Caron x Pantone yarn is a luxurious and soft merino wool blend yarn that is easy care and has beautiful drape. With its expertly created color palettes this yarn is perfect for knitting and crocheting fashionable projects. From sweaters to hats and scarves, the slight sheen and bulky weight of this yarn makes ideal fall ready garments and winter essentials for any wardrobe. This full spectrum color perfect yarn is the ideal yarn to use for creating traditional fair isle knitting patterns or intriguing colorwork in crochet patterns. With expertly curated color palettes wound into five separate links making colorful knit or crochet projects is simple. This luxuriously soft merino wool blend yarn is also light and lofty. 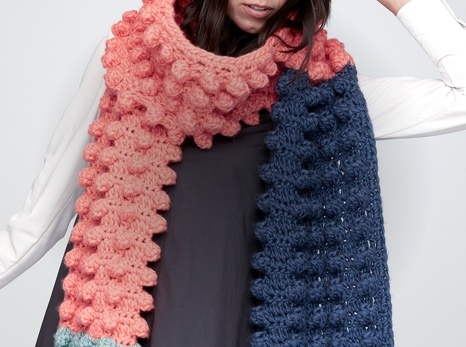 With its unique twist it gives beautiful drape and stretch to any knit or crochet pattern. Caron x Pantone yarn also has incredible stitch definition that perfectly shows of your knit and crochet stitches, and its perfect for techniques like brioche knitting that shows peeps of color throughout. Get stitching on colorful seasonal products.